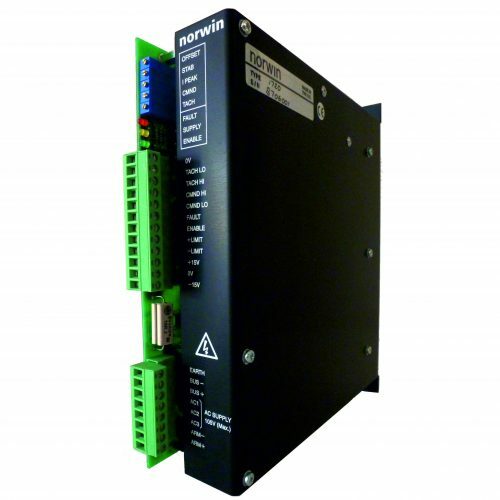 The NE1720 is a transistorized PWM servo controller complete with integral power supply. 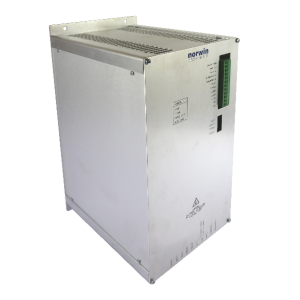 It is primarily intended for use with permanent magnet dc servomotors rated at up to 700 watts. 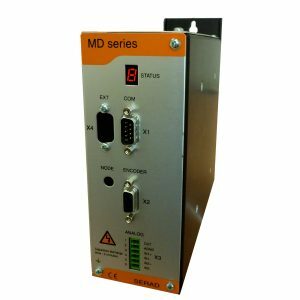 The features provided by the NE1720 make it an extremely versatile servo controller that can be configured to operate in a wide variety of applications. Integral bus shunt regulator provides for dissipation of regenerated energy. Positive and negative over-travel limit inputs.